with this BERETTA MODEL 20! 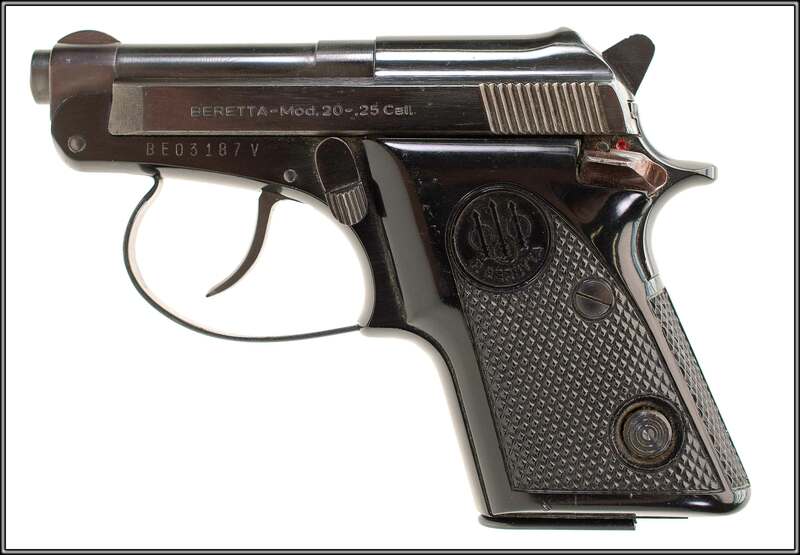 This is a Beretta Model 20, a sub-compact semi-auto pistol chambered in .25ACP. 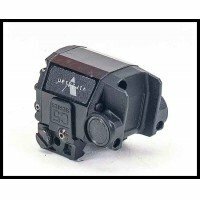 It is a well-made, simple and reliable pocket pistol, and the tip-up barrel makes it a good choice for anyone who has a problem racking the slide on a conventional semi-auto. 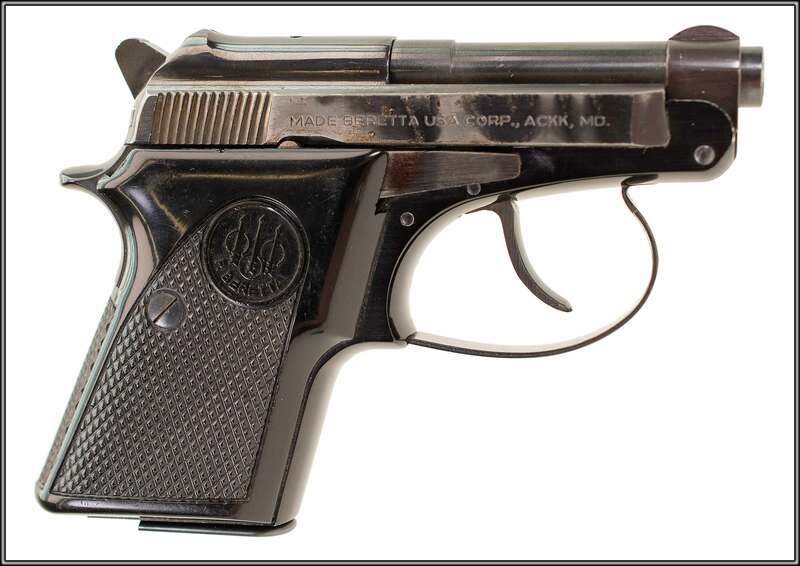 Production of the Model 20 only ran a short time, and ended in 1985 with the introduction of newer models of similar design. This pistol has an 8-round capacity, wraparound grips, and very minimal sights. The finish shows some wear, and there is one magazine included. 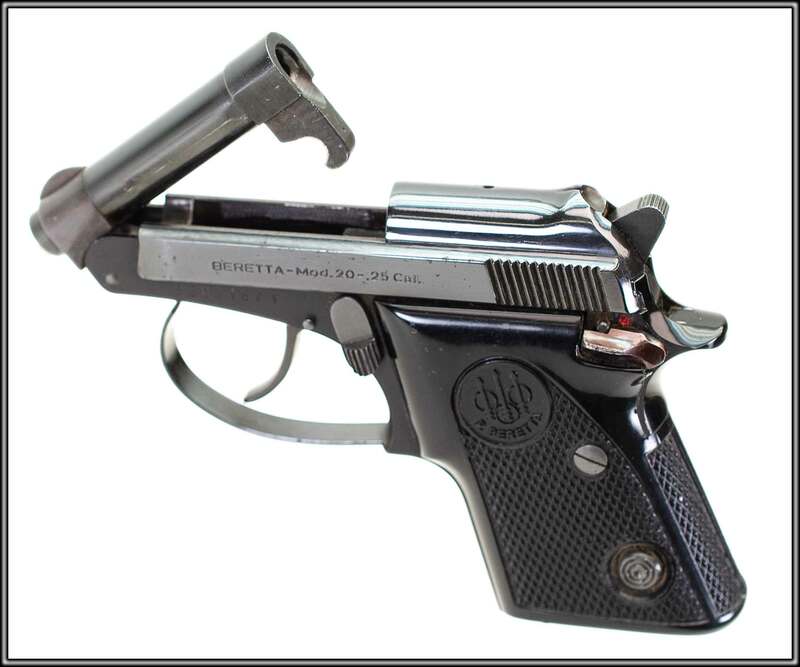 Overall condition of this firearm, based on Blue Book of Gun Values guidelines, is 70%.